It might not fit into movie news, but a fellow geek is doing something amazing and it's worth taking a look at. Have you ever thought about a piece of media from your past, and thought, was that real? It happened to me recently. I remembered being a wee lad and watching a show with my friends on Nickelodeon called Bananas. It was a variety show with pie fights, contests, and musical acts. 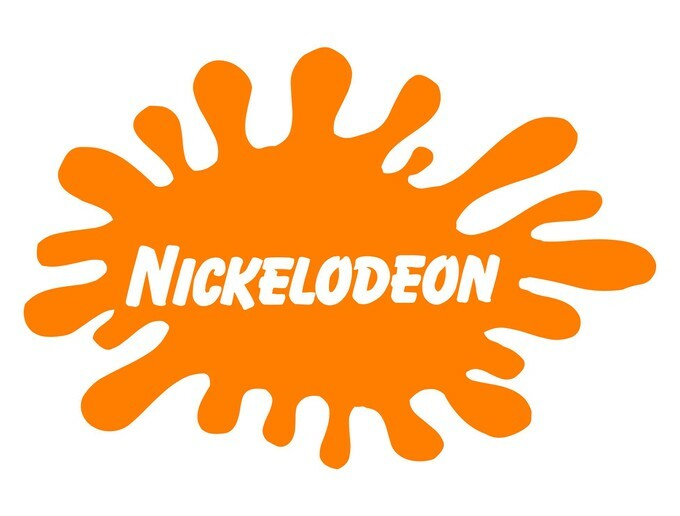 Could it have really been on Nickelodeon? Is that one doobie weed cigarette I was peer pressured into smoking messing with my brain? After a YouTube search, I found out I wasn't "tripping on the grass." There was a show in the very early days of Nickelodeon called AMERICA GOES BANANAZ. I not only found out the show existed but a detailed history of the production. From its Canadian roots to it's export to a fledgling American cable channel. But this was just number seven in a video series. Poparena is a YouTube channel in the midst of a massive undertaking. He's doing a slow, step by step examination of the history of Nickelodeon examining each show at a time in detail. (I don't know the guy's name, so for the sake of this write up he'll be Poparena.) Episode number one in the series starts by documenting the birth of cable, and the experimentation of a new interactive cable system testing in Columbus, Ohio. Episode two details PINWHEEL, Nick's first show, this kicks off the birth of Nickelodeon and goes into detail about PINWHEEL its creation, and creators. After this each episode looks at the next show in sequence with tons of facts, and what must have been exhaustive research. I didn't even know most of these shows existed. Actually, Poparena didn't either. It seems like he just discovered them and excited to tell us what he's found. One of my favorites is episode five on HOCUS FOCUS. It has a nice tribute to Brad Williams puppeteer and unsung artists in general. Currently, the series is on 1982. The last episode was about a little-known show called SPREAD YOUR WINGS. It included an interview with the show's creator, Paul Saltzman. But before that episode, he hit a huge milestone in the history of Nickelodeon. His magnum opus. For now anyway. And get your nostalgia tissues ready because he doesn't pull punches on this one. At an hour and thirty minutes, this one is feature length. Something he says isn't going to be topped again until DOUBLE DARE. This one is really fascinating for me because this was the Nickelodeon of my childhood. One of the biggest things to take away from this one is series creator Roger Price reached out to Poparena to give him interviews and access to footage before he made this. Poparena gave Price a middle finger and exposed Roger Price's penchant for humiliating boys by making them wear dresses. Looking forward to seeing this series continue. One of my favorite shows as a young film geek was STANDBY...LIGHTS! CAMERA! ACTION! hosted by Leonard Nemoy. It showed the making of movies before they were in theaters. I got to see first glimpses of movies like, GOONIES, RETURN TO OZ, and LEGEND. Looking forward to that one. Also maybe he can explain why those goddamn kids on MR. WIZARD'S WORLD acted so awkwardly. Hopefully, someone will do this for MTV.